I attended the convention, and was proud we were able to get a stronger platform without amnesty on the platform this year. John Boehner, et al., will not be able to point to Texas and say that we agree with amnesty. I have read some great articles that give different points of view on what happened. Seeing no reason to reinvent the wheel, we’re sharing those with you now. While conservatives did have a big win at the convention, our work has just begun. It is our duty to hold our elected official’s feet to the fire – remind them often of their sworn oath, the platform and their duty to return to a Constitutional Federal government, instead of the national government it has become. In order to do this, our Texas House, Senate and Governor need to understand and enforce the 10th Amendment. We need to stay focused on Texas and let our representatives know that we will not accept mediocrity. Why We Fought to Kill the Texas Solution by JoAnn Fleming – This article provides the base of reasoning as to why conservatives were against The Texas Solution that passed two years ago. How The Texas Solution Was Defeated at the Texas GOP Convention Part 1 by Heidi Thiess – This article gives a blow-by-blow retelling of WHAT happened at the convention, including providing the amendment by Peter Batura that passed 4763 to 3735. 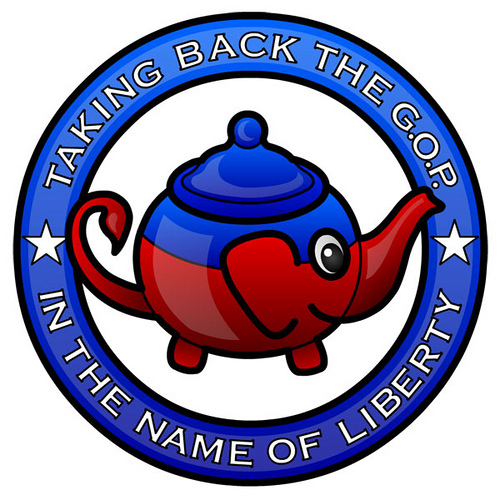 Compromising Positions: Texas GOP and Tea Parties Find Their Fortunes Reversed in Ft. Worth by Dale Huls – This is Dale’s perspective on what occurred at the convention and the compromise that was reached. Side note on the fourth article: With more and more Texans learning about the corruption taking place in the state House, GOP lawmakers will have to decide if they want to stick with a speaker covering up legislative abuses for his cronies, or side with the choice of their conservative constituents. Look who won the straw poll for Speaker of the Texas House! This entry was posted in Bill of Rights, Border Security, Constitution, Constitutional, Factions of the Republican Party, Immigration, Liberties, Republican, Republican Party, State Issues, TEA Party, Texas. Bookmark the permalink.